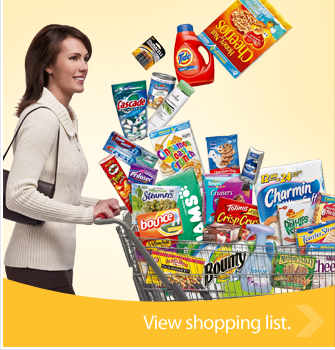 Kroger’s Cart Buster Savings Event is going on right now through Sunday, March 14th where you can find great prices on some of my family’s favorite brands including Pampers, Cheerios, Hamburger Helper and more in over 60 categories of products belong to the General Mills brand. To find out the closest Kroger store to you click here and enter your zip code. I employ many of the grocery saving strategies mentioned here at Ralphs. Other stores in the Kroger family are Kroger, King Soopers, City Market, Dillons, Smith’s, Fry’s, QFC, Baker’s, Owen’s, Jay C Food Stores, Hilander, Gerbes, Food4Less, Pay Less Super Markets and Scott’s Food & Pharmacy. The Kroger Family of Stores and General Mills through MyBlogSpark gave me a $25 Kroger gift card to use at the savings event and another $25 gift card for another reader. Leave a comment on how you save on groceries to be entered no later than March 27th at noone PT. One reader will be selected via random.org. Sorry but this is limited to US residents only. Good luck saving money and on the giveaway! I save on the cost of groceries by using coupons, stockpiling great deals and watching the sale flyers for all the specials. Thanks! Buying within a budget isn’t so bad when I utilize coupons, sales flyers, and useful sites like this to try and get the most for my money! I save on groceries by buying generic whenever possible. Thanks so much – I shop at Kroger every week so this would be great! I save on groceries by clipping coupons and matching coupons with deals via awesome blogs! I save by using coupons….lots of them!